The University of Michigan Club Tennis Team defended their title at the 2017 Midwest Tennis on Campus Championship, defeating long-time rival University of Wisconsin in the final. The USTA Tennis On Campus Midwest Championship is a fun and competitive event for collegiate club and intramural tennis teams from across the USTA Midwest Section. The first event took place in 2002 with only 6 teams from 5 schools and, now, just nine short years later, hosts 32 teams from 27 unique schools! The Championship, which uses the exciting, dynamic, and co-ed World TeamTennis format, is the conclusion to the year-long Midwest Tennis On Campus League. Teams who advance to the semi-finals are granted automatic bids to the USTA Tennis On Campus National Championship and receive a stipend from the USTA Midwest Section to attend the National Championship. In addition, the USTA Midwest Section also gives a stipend to the team receiving the USTA Midwest Tennis On Campus Club of the Year Award to attend the USTA Tennis On Campus Championship. 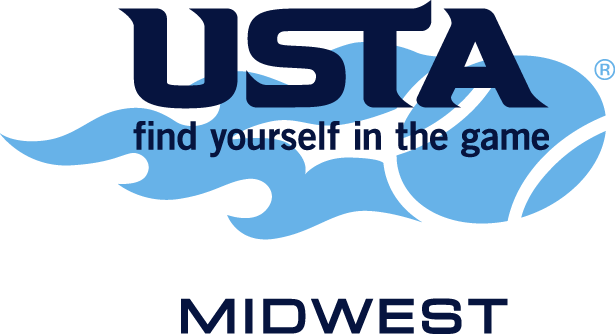 For more information, visit the USTA Midwest Section website or contact Steve Wise at (262) 334-3601. 32 teams participated in the Midwest Tennis on Campus Championships. Seven teams secured bids to the National Championship April 13-15 in Orlando, Florida at the USTA National Campus. The University of Michigan took the title after overtaking rival Wisconsin 25-18 in the final. The University of Illinois took third while the University of Miami finished in fourth. Joining the top four teams will be fifth place team University of Notre Dame, the Midwest Tennis on Campus Club Team of the Year award team, DePaul University, and the Midwest Team Sportsmanship winner Kent State University.